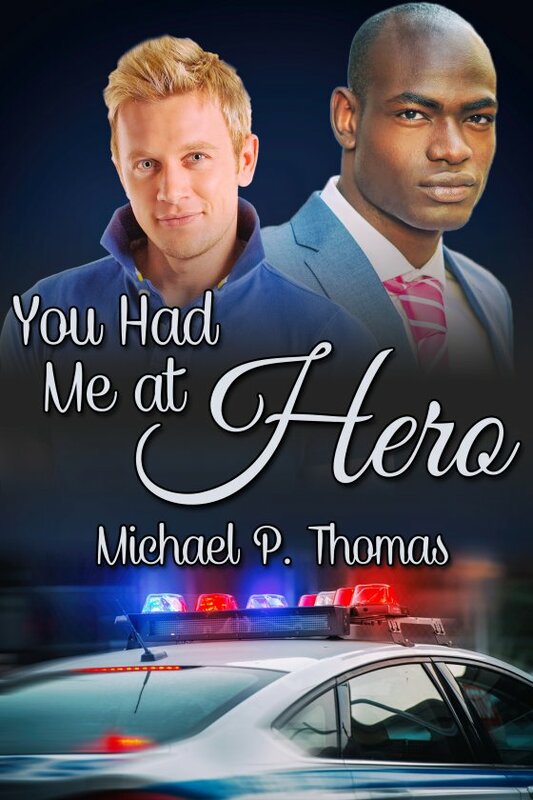 You Had Me at Hero by Michael P. Thomas is now available! When seventeen-year-old Mark Potts fell from a balcony, he lost both the use of his legs and any faith in heroes. Now twenty-nine, he’s long-since come to terms with his injury. His job provides more opportunities for eye-rolling than for riding to anybody’s rescue, but with two kids to bring up, he barely has time for his husband, much less for heroics. Besides, Starr Bradford is a policeman — how many heroes does one family need? Mark and Starr love each other madly, but stress management is a load-bearing pillar of their happiness. When Mark’s coping skills fail him at exactly the wrong moment, he’s left hanging by a thread of words he should’ve kept in his mouth. He has the power to repair their relationship, but when Starr’s workday suddenly goes south, will he get to wield it? Keeping it together long enough to find out is a job worthy of any superhero!